Imagine not being able to speak English, or not very much of it, and facing deportation proceedings in federal immigration court. An undocumented immigrant in this situation might not know what their rights are or what avenues of relief — such as seeking asylum — are available, much less how to mount a convincing legal defense. If they can't persuade an immigration judge to let them stay in the country, the government will deport them. Immigration detainees' rights and resources are limited, though, and so is the number of attorneys in Wisconsin who are willing or able to take on their cases. Davorin Odrcic, an experienced immigration attorney based in Milwaukee, estimates that maybe a dozen lawyers around the state currently take on the cases of detainees. An immigration detainee who is poor and unable to earn an income, or cannot pull together attorney fees from family and friends, could seek help from a non-profit law firm that specializes in championing immigrants, or from an attorney in private practice who's willing to represent them at a loss. The vast majority of detainees aren't so fortunate, though, and the stakes are high. "If you cannot hire an attorney to represent you, then you are speaking on your own behalf, before the immigration judge and the government lawyer who is ready to deport you," said Aissa Olivarez, a staff attorney with the Community Immigration Law Center in Madison. People facing deportation face a variety of challenges within the immigration enforcement system. Though immigration proceedings are technically civil cases, detainees do not have the same rights as United States citizens accused or convicted of criminal offenses. If they grew up speaking a language other than English, paperwork and official proceedings can be difficult to understand. And when detainees are the breadwinners for their families, those families struggle to pay the bills, not to mention raise money to mount a legal defense. U.S. Immigration and Customs Enforcement also a well-documented pattern of moving detainees, making it more difficult for detainees to stay in touch with their attorneys. 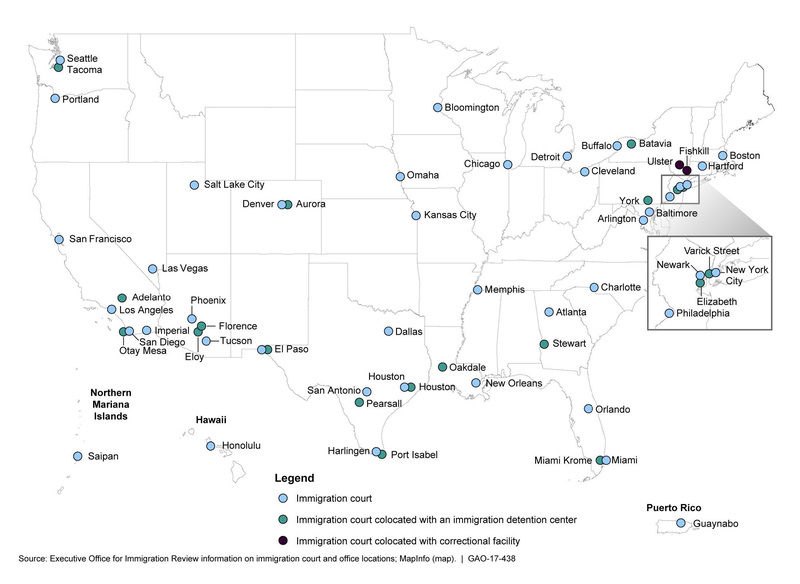 Immigration detainees often go unrepresented in legal proceedings. Data from Syracuse University's TRAC Immigration project shows that between 2014 and 2017, about one-third of immigration detainees had legal representation. (Most years, facing immigration proceedings but who had never been detained had about twice the rate of representation.) A 2017 analysis by Univision News, found that 88 percent of defendants in the Chicago immigration court, which has a jurisdiction that includes Wisconsin, did not have a lawyer. Representation can make a huge difference in the outcomes of court proceedings. A 2016 study by the American Immigration Council, a non-profit group that advocates for immigrants' rights and greater societal acceptance of immigration, found that detainees with lawyers who sought immigration relief obtained it 49 percent of the time, whereas those who weren't represented detainees got it 23 percent of the time. In other words, someone without a lawyer has a significantly higher chance of getting deported. "It's a different situation for clients who have never been incarcerated," said Olivarez. A 2017 study by the Vera Institute of Justice, a non-profit that advocates for a more equitable criminal-justice system, examined a public defender-style system in an immigration court in New York City. Implemented in 2014, it was the first such system in any immigration court in the country. With representation in court, rulings in favor of defendants increased from 4 percent to 24 percent of cases. Additionally, that increase likely doesn't include all rulings for defendants in immigration cases that dragged out for months or years. Two county jails in Wisconsin contract with the federal government to house adults who've been detained by ICE, most of whom are in removal proceedings and awaiting hearings in immigration court. Officials at both the Kenosha County Detention Center and Dodge County Detention Facility said in June 2018 that the numbers of immigration detainees they're holding have stayed pretty steady, despite the Trump administration's push to round up and deport more undocumented immigrants and even some green-card holders (who have achieved legal residence in the U.S. but not full citizenship status). The lawyers who work with Wisconsin's immigration detainees from the outside face a variety of unique challenges unlike other court systems in the nation. To begin, immigration defendants have a right to have an attorney represent them at hearings, but paying for the lawyer is not the government's concern. Gideon v. Wainwright, a landmark 1963 U.S. Supreme Court unanimous decision, which established indigent criminal defendants' right to government-funded counsel under the Sixth Amendment, does not apply to people facing deportation. The reason for this difference is because Gideon addresses state criminal courts and has no bearing on federal immigration proceedings, which, are treated as civil matters, even if many of the defendants are apprehended and incarcerated like criminals. 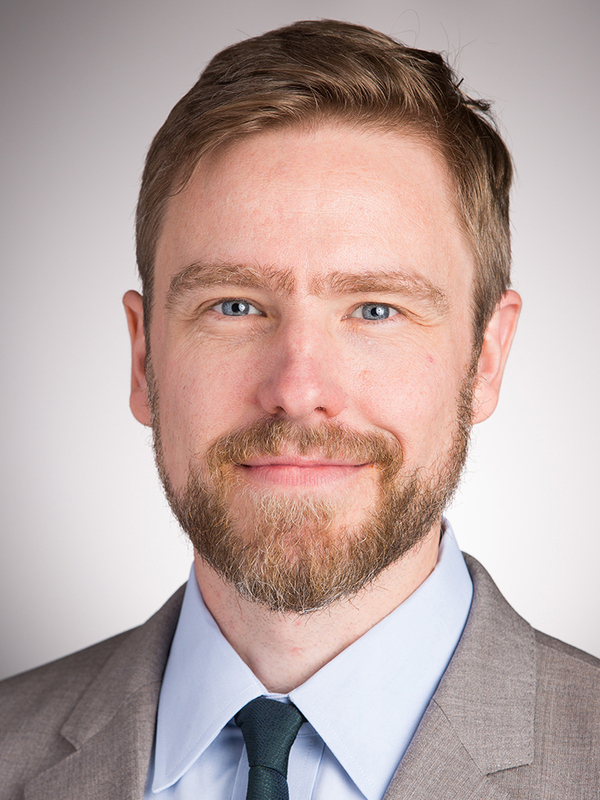 "Every month we meet with a significant number of people at Dodge where we aren't able to take their cases and other providers aren't able to take them either, and yet they have decent cases to defend against deportation," said Geoffrey Heeren, the outgoing director of the Immigrant Justice Law Clinic at the University of Wisconsin Law School and an associate professor at Valparaiso University Law School in Indiana. Heeren and Madison-based immigration lawyer Aissa Olivarez sometimes work together on cases, and their respective organizations both make monthly visits to the Dodge County facility in Juneau to speak with potential clients.The clinic usually hosts about 30 to 40 detainees at a monthly "know-your-rights" informational session at the Dodge County facility, Heeren said, and some of them end up becoming actual clients. Olivarez: "I don't think that detention in any way is acceptable, and I don't think people should be detained and shackled." In other instances, a detainee's family will reach out to an immigration lawyer to start the process. Both Olivarez and Heeren said they have courteous relationships with local officials at the Dodge County facility and their legal adversaries in ICE and federal immigration court. Indeed, not having good relationships with those officials would make their jobs more difficult. Olivarez said she hasn't witnessed "especially alarming" issues at either the Dodge or Kenosha detention centers. The Dodge County jail's officials are "some of the best that I've dealt with in terms of officials who preside over an immigration detention facility," said Heeren. From the date someone is apprehended by immigration authorities, there are generally about three weeks until an initial court appearance, usually via video conference, with a judge in Chicago, said attorney Huma Ahsan, founder of Madison Immigration Law, LLC. It's a time span that leaves a lawyer limited time to prepare a lot of information, she explained — gathering evidence, contacting potential witnesses or determining what grounds a detainee might have to ask the government for granting asylum or a stay of deportation. At the beginning of an immigration case, lawyers must determine whether it's even worth seeking bond. ICE has a great deal of discretion over whether to grant bond to a detainee, and if it decides not to, the only recourse for an immigration lawyer is to go to court and ask a judge to require the agency to grant bond. This element is especially tricky for an attorney in private practice when detainees and their families have little money for the legal defense. Milwaukee-based immigration attorney Davorin Odrcic said he often ends up having to have a difficult discussion with clients and their families: Can they afford the legal feels in seeking bond, and pay the bond if it's granted, and keep paying legal fees to fight the rest of the case? And can the attorney afford to take all that on while managing the rest of their caseload? Detainees also need to build some kind of working relationship with their attorney. 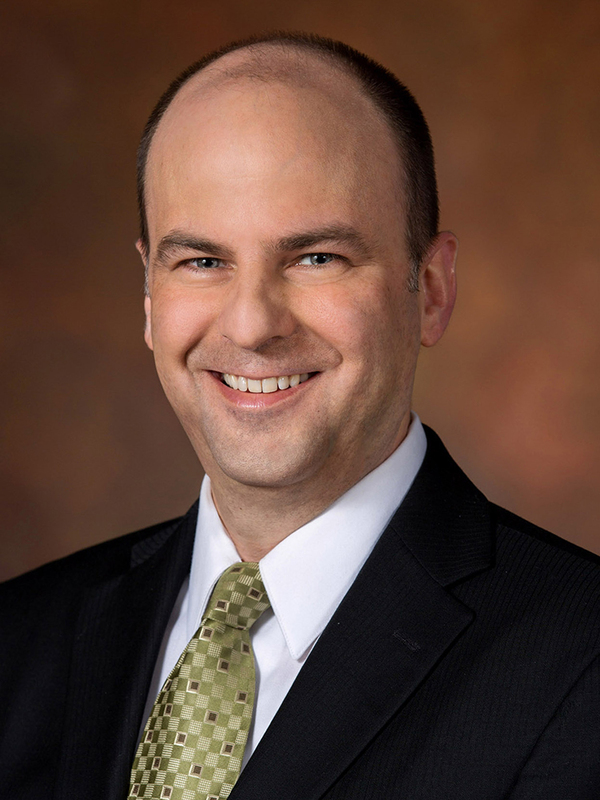 "I think that trust is a vital ingredient of the attorney-client relationship," Odrcic said. "In non-detained cases, there's time for the attorney-client relationship to develop because the case just takes a long time. When someone is detained, not only are they freaking out, but they're detained, and I'm not." Odrcic: "I think that trust is a vital ingredient of the attorney-client relationship." There's also the issue of other information sources. "Often I have to compete with jailhouse lawyering," Odrcic noted, referencing when a defendant might be getting contradictory or perhaps misleading advice from fellow inmates. Geoffrey Heeren often finds himself squeezed into a tiny visiting room, with a couple of UW immigration law clinic students in tow, trying to help a client on the other side of a glass divider prepare for a hearing. These detainees who are not released on bond don't have the opportunity to prepare for court in a more comfortable setting, like an attorney's office or a moot courtroom, which adds stress to an already emotional and taxing situation. "It's really, I think, difficult for a lot of our clients who are themselves the victims of torture and other types of abuse to have to talk to us about that kind of abuse in order to prepare their cases while they're in jail," Heeren said. "Every day of immigration detention is traumatizing, and then prepping for a removal hearing sometimes involves re-living earlier traumas." Two Chicago-based ICE spokespeople did not respond to multiple requests for an interview. Preparation for initial appearances and eventually a final hearing in immigration court requires attorneys and clients to communicate frequently. Officials at both the Dodge County and Kenosha County facilities said they try to facilitate detainees' access to attorneys, and that they are subject to the same rules as other inmates when it comes to visitation and phone access. Dodge County jail administrator Tony Brugger said attorneys can show up in-person at any time of day without notice, though he discourages visits during meal times or lockdowns. For phone calls, the jail requires 24 hours' notice because all inmates are sharing access to a limited number of phones; Brugger noted this rule can make things difficult when a lawyer needs to get in touch with their client immediately. Kenosha County Sheriff's Department spokesperson Mark Malecki said attorneys are assigned times to visit with inmates during normal visiting hours at that county's jail. The detention center's visitation rules also show attorney visits are also allowed on 10 holidays when other visitors are not. 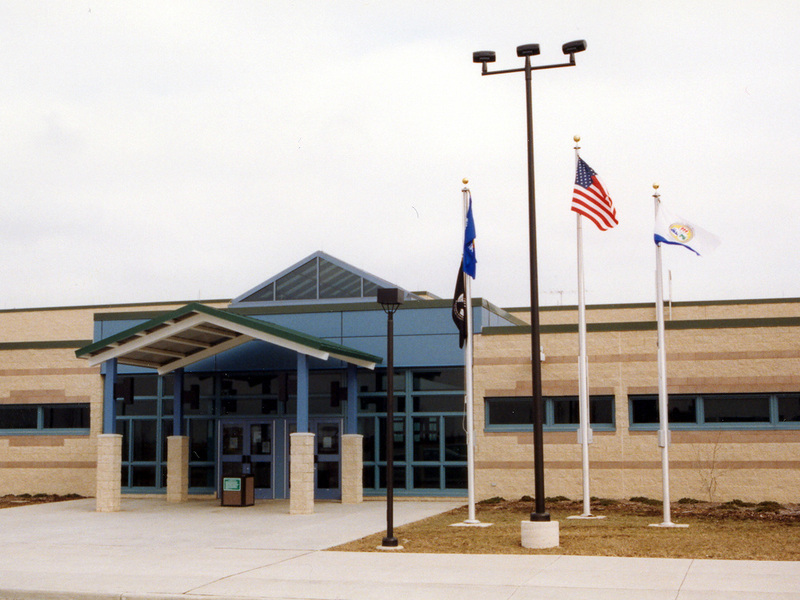 The Kenosha County Detention Center is one of the facilities in Wisconsin where U.S. Immigration and Customs Enforcement holds adult detainees. An added twist is that people in the immigration detention system can be moved around from one facility to the another. A detainee awaiting a hearing in the Chicago immigration court could get transferred multiple times, ending up in a series of facilities across the Midwest or even around the continental U.S. Some attorneys interviewed for this story reported problems with such transfers, and some did not. In some cases, these transfers are made to expedite the cases of individual detainees. For instance, people facing deportation will often need to visit the consulate of their nation of origin, which can necessitate a temporary transfer to a facility closer to that location. But barring the intervention of a federal judge, ICE can move people around pretty much at will. Journalists and human-rights advocates have documented dozens of instances in which detainees were transferred around the country for reasons that had nothing to do with their cases. If someone gets transferred, especially on short notice, their attorney doesn't have a lot of good options for staying in touch — they can try to connect by phone, wait for the detainee to get transferred somewhere closer, or travel, driving up the cost and logistical difficulty of handling the case. "I have a case that I'm co-counseling with Aissa where the client was sent from the Doge County detention center to the York County jail in Pennsylvania to a jail in Louisiana to a jail in Texas to a jail in southern Illinois before finally being sent back up here," the UW Immigration Law Clinic's Geoffrey Heeren said. "Even those who don't get moved around and stay put at Dodge or Kenosha or McHenry County [in northern Illinois], there are a lot of hurdles with communicating with them." When transfers aren't an issue, driving to the detention centers in Juneau or Kenosha, or to Chicago for court, requires scheduling and financial commitments from immigration attorneys based in Madison, Milwaukee or elsewhere. One of eight federal immigration judges in Chicago Immigration Court, part of the U.S. Department of Justice's Executive Office for Immigration Review, will make an ultimate ruling about what happens to an undocumented immigrant who's been detained in Wisconsin. A judge can grant asylum or some other form of relief, or order someone to be deported. Detainees and their attorneys usually travel to Chicago to attend the final court hearing, which can make for a long day. "One of the reasons why there are few attorneys who actually do this is because there's only one court, it's in downtown Chicago, and when you go as an attorney, the hearing's supposed to be scheduled for 10 a.m.," Madison-based attorney Huma Ahsan said. "But you have to get there at 8 o'clock, put your name down … and even though you have a time, you're basically there all day long waiting your turn for the judge to [call your case] and you have five minutes to speak your piece." The immigration court in Chicago handles cases for detainees in Illinois, Indiana and Wisconsin. Ahsan, whose practice focuses mostly on employment- and family-related immigration law, said that type of challenge is one reason why she hasn't taken many removal cases over the past few years. A backlog of cases — in one court that handles detainees from Illinois, Indiana and Wisconsin — also made the process frustrating. "They fund a lot of the immigration law enforcement officers, but they're not funding the immigration courts," Ahsan said. "There are not enough judges, not enough clerks, not enough court staff." Although immigration judges across the U.S. are enforcing the same body of federal law, different individual judges and courts have widely varying records. The judges in Chicago's immigration court, as a group, grant asylum at higher rates than their counterparts in Atlanta, Charlotte, El Paso and New Orleans. On the other hand, at least one of the Chicago court's immigration judges has been among the country's toughest. According to Syracuse University's TRAC data project, former Chicago judge Philip DiMarzio denied asylum in 95.6 percent of the cases he heard between 2012 and 2017. The next-toughest Chicago judge denied asylum in 55 percent of cases over the same time period, while at the other end of the spectrum, another judge denied it in 43 percent of cases. Students and professors from the University of Wisconsin Law School immigration clinic are planning to travel to Texas in August to provide legal assistance to people detained at the U.S.-Mexico border. 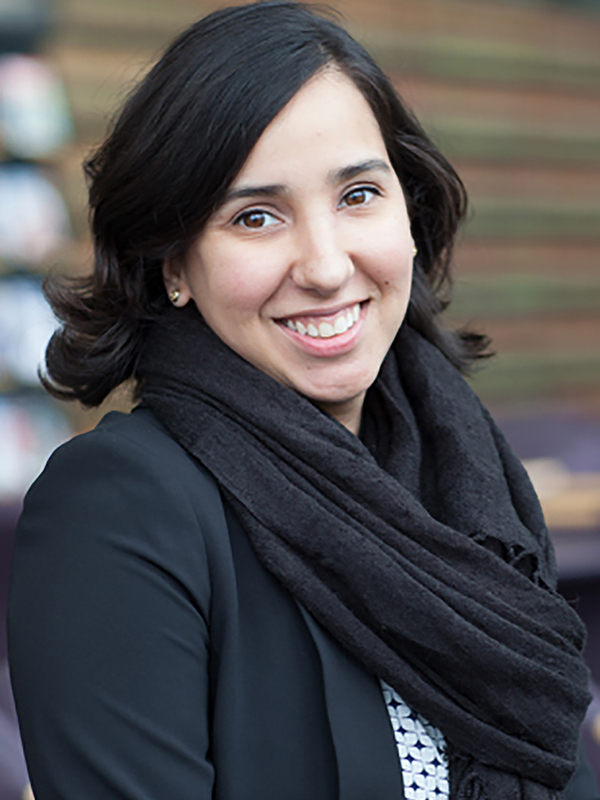 UW Law School clinical instructor Erin Barbato explained to Wisconsin Public Television's Here & Now in a July 6, 2018 interview that "a good majority" of the people the clinic plans to represent at the border are seeking asylum, on the grounds that they are fleeing violence. "A lot of the individuals are coming from the northern triangle of El Salvador, Guatemala and Honduras, and they've made the trek through Mexico to get to the border of the United States," Barbato said. One goal of the clinic's work at the border is to give law students experience working on immigration cases, in hopes that they'll come back to Wisconsin and use those skills here. "We have a lot of need, especially here in Dane County, where we don't have a lot of pro bono services available for people in removal proceedings," Barbato said. Opposition to the Trump administration's immigration policies was galvanized by the "zero tolerance" policy of separating children from their parents at the U.S.-Mexico border, and the accompanying spectacle of some children appearing in court without representation. Geoffrey Heeren and Aissa Olivarez each fundamentally oppose the system of immigration detention in place in the U.S., and object to what they see as the harm it visits upon migrants fleeing from poverty and dangerous conditions in their countries of origin. "My larger complaint is a systemic one, which is that people are even held in immigration detention in its current framework," said Heeren. Heeren: "It's really, I think, difficult for a lot of our clients who are themselves the victims of torture and other types of abuse to have to talk to us about that kind of abuse in order to prepare their cases while they're in jail." "I don't think that detention in any way is acceptable, and I don't think people should be detained and shackled," Olivarez said. Olivarez rejects one rationale for detaining her clients, which is a concern that they pose a flight risk. These individuals often have families in the U.S., she said, or may have children who are U.S. citizens. Another rationale for detaining people in immigration proceedings is a prior criminal conviction, which can also provide legal justification for deporting green-card holders. While proponents of more restrictive and punitive immigration policies, including President Donald Trump, have made false claims about the criminality of immigrants, research has found no correlation between immigration and crime writ large, and undocumented immigrants commit crimes less frequently than the U.S. population as a whole. On an individual level, being incarcerated can traumatize a person, and create lasting impacts on physical and mental health. "I start to see mental health issues arise throughout the course of their detention," said Olivarez. "I see them start to become more anxious and depressed throughout the whole ordeal. They begin to lose weight, their eyes aren't the same, they're not getting the same sleep anymore." The stress of being detained, in turn, may affect a detainee's ability to play a role in the immigration hearing process, said Davorin Odrcic. "Imagine you have to testify for your life, and you're not only detained and in a bad place, but you're running on very little sleep and very little food, and you're expected to be able to give absolutely perfect, credible testimony," he said. At times, a defendant might have trouble fighting on. Detention, argued Odrcic, is "used as a means to make people give up." From Detention To Court, Wisconsin Immigration Lawyers Labor To Represent Their Clients was originally published on WisContext which produced the article in a partnership between Wisconsin Public Radio, Wisconsin Public Television and Cooperative Extension.